Nicotine replacement therapy (NRT) has been used in the treatment of tobacco dependence for over three decades. Whilst the choice of NRT was limited early on, in the last ten years there has been substantial increase in the number of nicotine delivery devices that have become available. 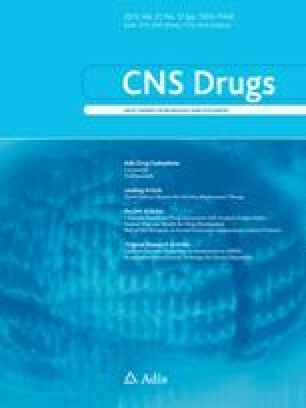 This article briefly summarises existing forms of NRT, evidence of their efficacy and use, and reviews the rationale for the development of novel products delivering nicotine via buccal, transdermal or pulmonary routes (including nicotine mouth spray, nicotine films, advanced nicotine inhalers and electronic cigarettes). It presents available evidence on the efficacy, tolerability and abuse potential of these products, with a focus on their advantages as well as disadvantages compared with established forms of NRT for use as an aid to both smoking cessation as well as harm reduction. No source of funding was used to assist with the preparation of this manuscript. LSB has no competing interests. LS has received honoraria for talk and travel expenses from manufacturers of medications for smoking cessation to attend meetings and workshops. RW has undertaken research and consultancy for companies that develop and manufacture smoking cessation medications. He also has a share of a patent in a novel nicotine delivery device (the nicotine cannon) and received royalties for books on addiction and smoking. Press release: UK moves towards safe and effective electronic cigarettes and other nicotine-containing products. MHRA website. http://www.mhra.gov.uk/NewsCentre/Pressreleases/CON286855. MHRA. Public assessment report. Nicabate Mini 1.5 mg compressed lozenges and Nicabate Mini 4 mg compressed lozenges. http://www.mhra.gov.uk/home/groups/pl-a/documents/websiteresources/con020733.pdf. Accessed online June 2013. GlaxoSmithKline. Clinical Trial: Nicotine Mouth Film for Craving Relief (NCT01702532). 2013. http://www.clinicaltrials.gov/ct2/show/NCT01702532?term=NCT01702532&rank=1. MHRA. Public assessment report: Nicabate mint 2.5 mg orodispersable film (PL 00079/0640). http://www.mhra.gov.uk/home/groups/par/documents/websiteresources/con123160.pdf. Accessed online June 2013. Polosa R, Morjaria JB, Caponnetto P, Campagna D, Russo C, Alamo A, et al. Effectiveness and tolerability of electronic cigarette in real-life: a 24-month prospective observational study. Intern Emerg Med. 2013. doi: 10.1007/s11739-013-0977-z.